Holding my borrowed whip was a thrill. Luckily, I didn’t have to use it. When I was a kid I had a book called “Winning your Spurs.” Being given your spurs was the sign that you had become an experienced rider; you had arrived. 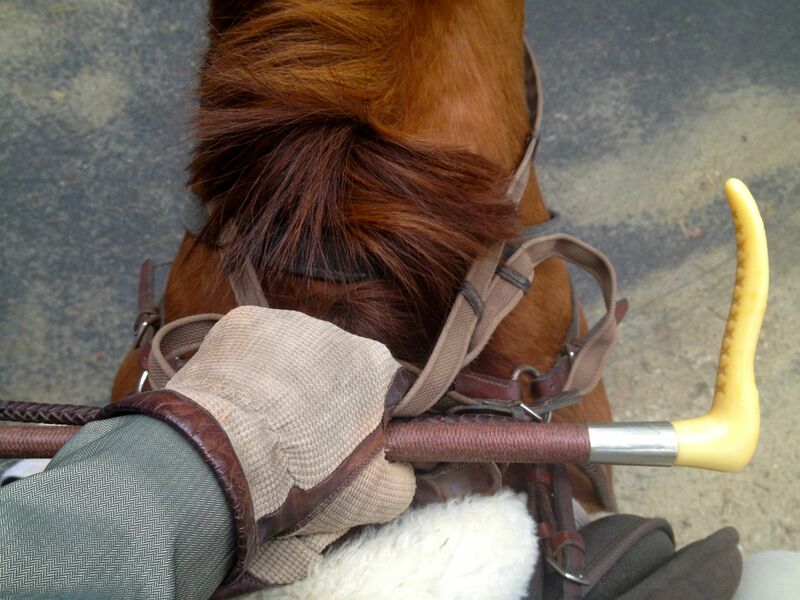 I rarely wear spurs these days (except when riding Zelda). But on Tuesday, when I was loaned a hunt whip and given the chance to be an assistant whipper in, I felt just like a kid who’d been given spurs for the very first time. I didn’t have to do much because the hounds were great. That’s probably a good thing because what I know about whipping in can be counted on a few fingers: make sure the hounds turn and don’t go down the wrong trail; keep the hounds from spilling out onto route 126; and face the direction you want the hounds to go. Luckily, the first two were pretty easy because the hounds did not need any direction from me. Facing the right direction proved to be a bit trickier. Freedom was confused as to why we were alone at the edge of a large field, watching the action from afar. He loved the part about galloping fast and following the hounds closely. He was fleet of foot and balanced. Standing still? Well that will take some work. And I must admit that it was a lot of fun to yell, “staff” and gallop by the field. Ooo jealous! Whipper in was the staff role that I always wanted to do when I still hunted.